Saint Patrick’s Day is tomorrow, so I’d be remiss not to address the pressing issues surrounding Ireland before the weekend is out. You have undoubtedly heard of Brexit and the Irish Backstop, as those are the current hot button issues for Britain and Ireland at the moment. My personal issue is the historical need to reunify Ireland, to rid the island of the scourge of 800 years of English rule, to bring the Irish people together. I don’t know that the Irish care as much as I do however. There is a sentiment that the Northern Ireland inhabitants have become so ingrained of English protectionism, monarchy dominion and English mannerisms that they aren’t really Irish anyway. They just happen to live on the island. Does living on the island make one Irish? Well, Saint Patrick wasn’t born in Ireland either, and, guess what, he never became the Patron Saint officially! That is right, the Catholic Church never canonized St. Patrick! In the first 1000 years after Christ, the Catholic Church had no formal process of canonization, but tended to recognize martyrdom or popular acclaim. St. Patrick died in 461 A.D., so his acclimation as a Saint is not ever officially recorded anywhere. He was born of Roman parents in Scotland, was kidnapped and sent to Ireland, escaped but returned to Ireland to convert the country to Christianity. Is Saint Patrick Irish? Hard to argue he’s not, as he is the most recognized name in Irish history. Some lifelong resident of Northern Ireland, does that person consider self Irish or British? It appears that the nationality difference lines up with religious leanings. Catholics call themselves Irish and still align with the church, although they don’t vote with the church (abortion, gay rights, etc.). Protestants in Northern Ireland don’t attend church as frequently, but that alignment with protestantism pushes them to consider themselves British. Interestingly, both in my travels and readings, the Irish just don’t talk about it. They don’t discuss it like we discuss North vs. South, it just never comes up. 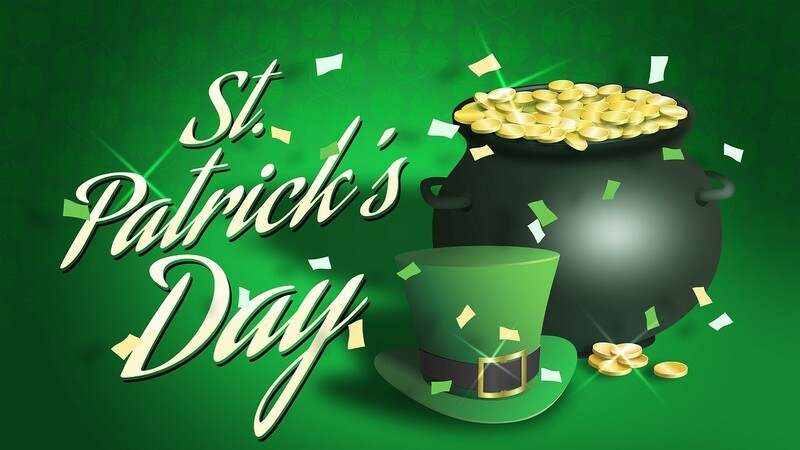 To show the Irish’s grasp of St. Patrick’s importance to their national identity, they didn’t hold the first unofficial parade (in Boston in 1737) or Official Saint Patrick Parade (in New York in 1766), while the Waterford, Ireland, parade was held in 1903. Today, Dublin (Ireland) holds a huge St. Patty’s Day Parade to 1) celebrate his contributions to Christianity in Ireland, or 2) boost drinking, eating and tourism in Dublin. I suspect it is #2! Now St. Patrick did travel extensively around Ireland, including County Mayo which is a big part of my familial heritage. There is a St. Patrick’s Trail to follow in Northern Ireland or just look up places he visited down south and go there. Did he really chase snakes out of Ireland? That is doubtful as there is no evidence that Ireland ever had snakes. Not too hard to see that snakes are an analogy to the pagans that were driven out by the emerging Christianity movement during the 1200-1700s of Ireland history. As with all things Irish, there is so mystical, magical, fanciful and whimsical background to most every story.